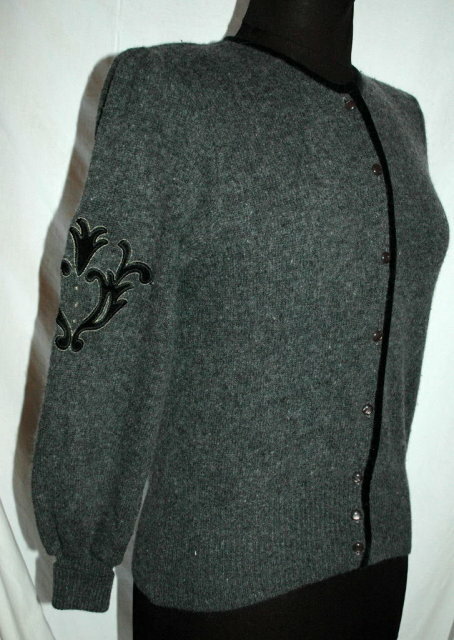 Vintage Wool Cardigan Sweater, Grey with Black Velvet Trim & Applique. The size is a 10 to 12. The applique is on both arm and on the back. The decoration is outlined in gold thread. The sweater is in excellent condition with the exception that it is needs pressing. 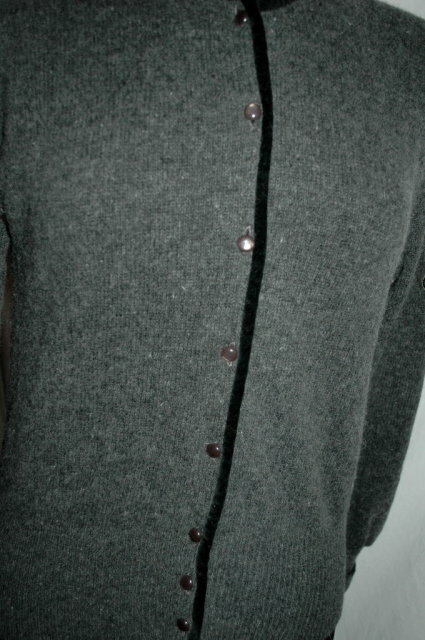 Items Similar To "Vintage Simone Wool Cardigan Sweater, Grey with Black Velvet Tr..."
John Molloy /Ardara/LDT. 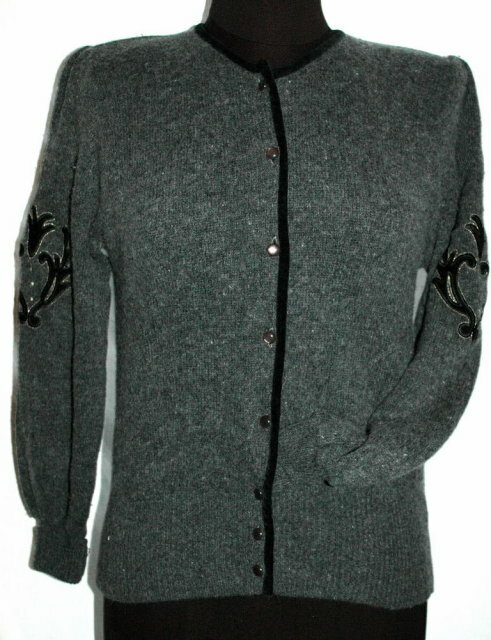 Donegal Irish Fisherman's Cardigan Sweater 100% New Wool- Vintage !